Here's something I love, but kinda bummer because of the wrong shade. 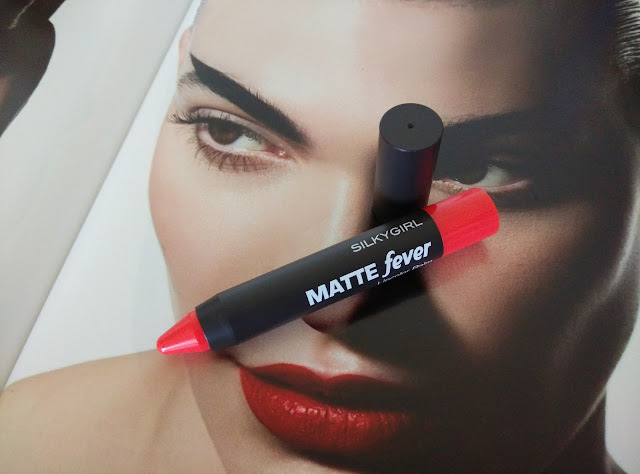 The Silkygirl Matte Fever Lipcolor Balm is the only makeup product I received from the recent Muffin.my beauty box. I'm not sure if 'beauty box' is the right word to describe Muffin, however I would love to think so because it is a box that contains beauty products. This retractable Lipcolor is enriched with Calendula Flower Oil, White Mulberry Extract and Vitamin E to soften and soothe your lips. 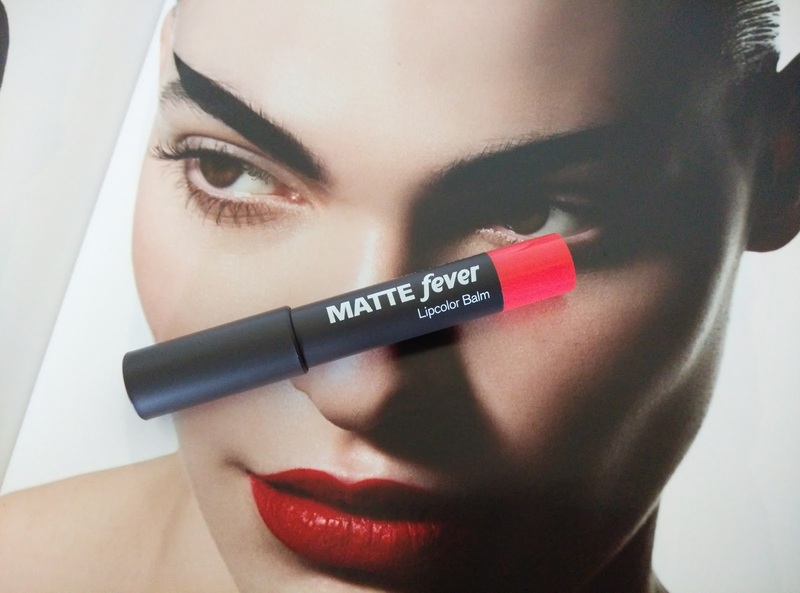 Perfect for first time matte lipcolor users as it provides a sophisticated matte finish. Available in six hot, Matte Fever Lipcolor Balm sizzling shades. Apply directly on to the lips. When the product gets to the bottom of the stick, just twist the red cap to reveal more products. If your lips are dry, apply a thin layer of lipbalm before application. It glides easily and feels more hydrating compared to other matte textured lipstick. It does not have the thick lipstick, it feels more of a lipbalm. Having said that, it swatches to the sheer side. 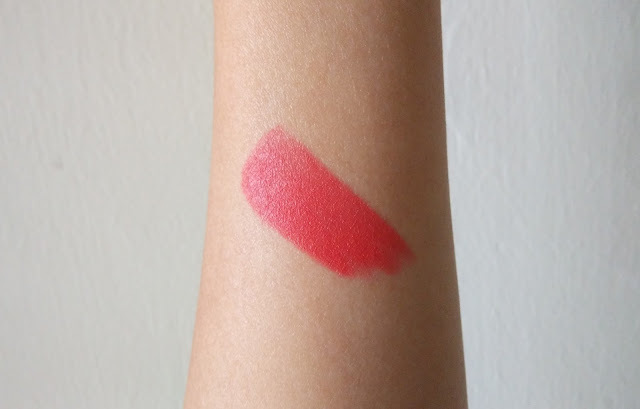 However, for a bold finish, you can layer the color after each swatch to get the intensity of the shade. I've tried so many matte lipstick and most of them are dry and really irritating on the lips. But this one is revolutionary. It feels like a lipbalm but has a matte texture. The colour is vibrant and vivid on the lips. It is lightweight and long-lasting. However, like other lipstick, it still leaves stain on your coffee cup. And nope, it is not kiss-proof as well. The colour that I got is Flame which is a vibrant neon red - in between fire engine red and fresh chilli red. Unfortunately the shade does not suit me or this can easily pass as my everyday lipstick. The packaging is very convenient as well. The retractable feature is user-friendly and the crayon-like tube makes it really easy to slip into your handbag. It does not take a lot of space. The price is really affordable. If you are looking for a matte lipstick which falls within the drugstore price, this is the lipstick you definitely need to try. And if you've been disappointed with most matte lipstick due to the overdrying effect, try this! Most major pharmacies that carries Silkygirl brand - Watson, Guardian, Caring, AEON Wellness, etc.